Paul McCartney entered in 2018 and is doing a gig warm up in Liverpool and London in June and July. And on September 7, 2018 we held a concert at the special stage of Grand Central Station in New York. And finally, I revised the previous ONE ON ON TOUR and announced that I will go on a new tour again entitled FRESHEN UP TOUR. Starting in Canada in September 2018, this tour was a large scale around Europe, Japan and the United States including the festival appearance and was announced quickly until the 2019 schedule. One characteristic of this FRESHEN UP TOUR is the addition of new songs to the repertoire from the new album “EGYPT STATION”. 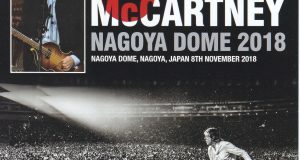 Moreover, he plays two songs “Who Cares” and “Come On To Me” in the beginning of the concert, and “Fuh You” in the middle. Both are thought to be a musical piece that is kept in mind that it plays with a concert, becoming an important accent of the stage composition. Also, the first premiere on this tour is “From Me To You”. It is one of the representative songs of the extremely early Beatles, and has been picked up as an acoustic corner. In addition, if you see only the songs in the set list, there is no fresh selection of songs contrary to the tour title, and although the songs that have been played are arranged side by side, if you mention the features of this tour, arrange rather than songs It should be noted. The major difference from the conventional pole stage is the addition of a brass section. Basically except for Wings from the 1970s, band members and members did not join the performance on the pole stage basically. Of course there was no schedule for the Bug · Pipe Orchestra to appear, or the guests to play. However, there are no musicians who took part in the tour and participated every night as a concert performance. For the first time, the brass section has joined the band. The arrange also makes use of it daringly in that the sound substituting for the keyboard which Wix plays until then is played with real instruments. 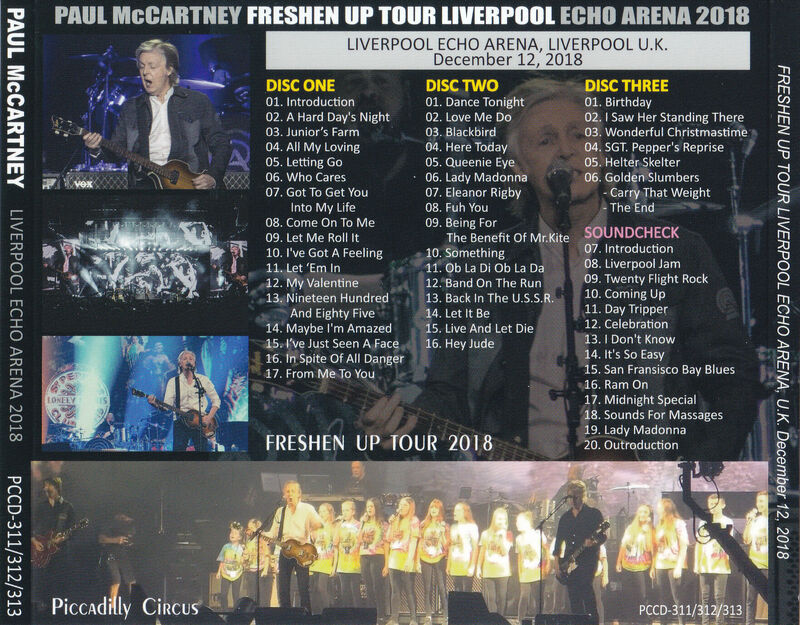 This work is a complete record of Liverpool performance on the first day of British tour with only three performances at the final place of FRESHEN UP TOUR in 2018. 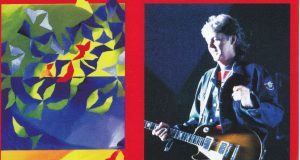 It is well known to fans that Paul’s local concerts in Liverpool are wrapped in a special atmosphere, including 1990, 2003, 2008 and others. Most importantly it is the last three performances in 2018. Paul is known for taking pictures and recordings, Liverpool’s concert, the last day of the tour, in those cases it is known to do the show with full power without leaving any extra power. 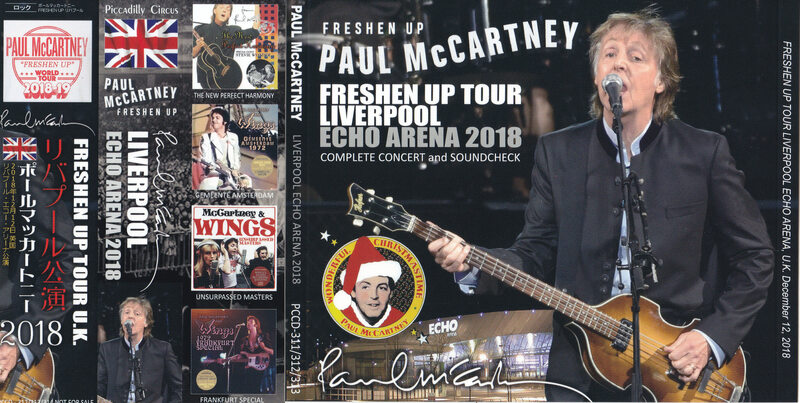 Also in Liverpool in 2018, while Paul relatives and old acquaintance are visiting a large number of audience seats, Paul has added MC for a long time as much as usual, and a warm atmosphere different from the other performances I am wrapping the whole venue. It was introduced that Colin Hunton who was a member of a qualimen is in the audience, and sing “In Spite Of All Danger” in front of himself. And as soon as Christmas is coming, we showed “Wonderful Christmastime” for the first time on this tour with the children’s choir backing. “I Saw Her Standing There” is a wonderful stage that concludes the year 2018, such as having fans to stage on stage and sing. Moreover, this work completely collects sound checks performed before the concert on the day. 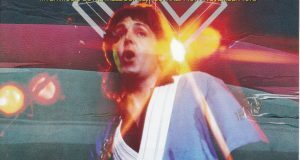 In the sound check of this day, it is rare that Paul is singing lyrics to “Celebration” which is usually played as a piano instrument. Also on the regular stage I’ve also noticed that I have played “I Do not Know” of a new album that I have never played. More attention is its sound quality. It is the best thing that can be thought of as an audience recording, close range feeling of the performance, closeness of sound as if Paul is singing in front of me, no troubling audience in the surroundings, little clapping or clapping, clear It is a perfection like a beautiful superb live album. Of course, this is the first appearance in this work, it is a complete monopoly sound source of super high sound quality that has not been circulated even in this work which can only be heard in this work. UK tour with only three performances that concludes the end of 2018. On its first day Paul ‘s birthplace Liverpool performance, sound check, concert and complete recording with high sound quality. It’s such a wonderful concert that will be filled with happiness and fulfillment when you finish listening, this year’s number one performance. Permanent preservation of a beautiful picture / disk specification A tightly pressed press. Japanese style attaching. 13. Back In The U.S.S.R.